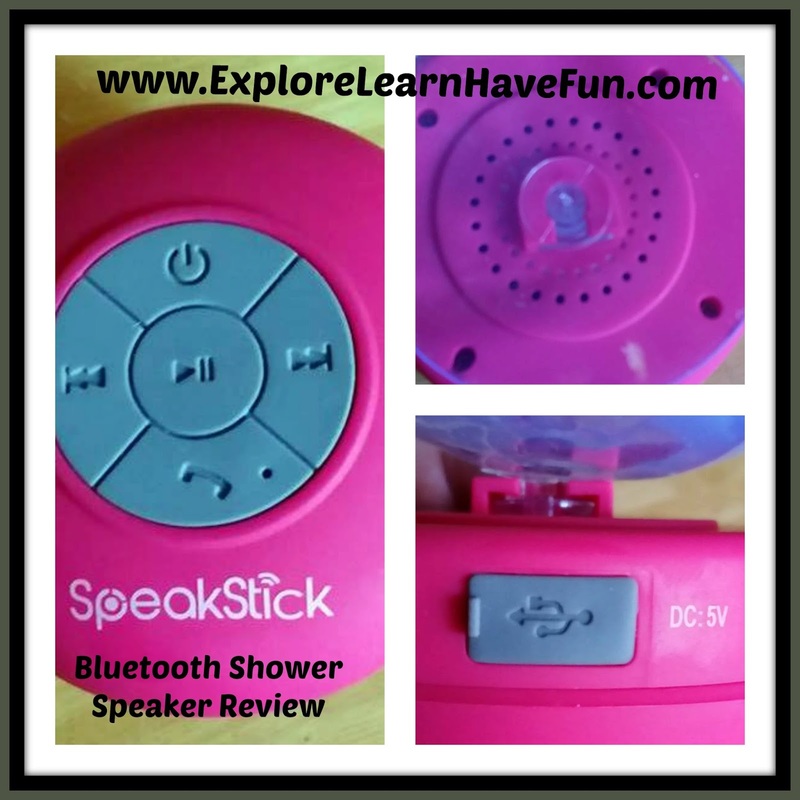 I was given the opportunity to review the Bluetooth Shower Speaker from Speakstick last month. As soon as he heard about this, my son claimed the speaker for himself! Even when the one I received turned out to be hot pink! He has used this more than I have and I can't tell you how happy it makes me to hear him singing along in the shower to his favorite music. He LOVES this speaker. He also brings it with him when we are running errands or on field trips so he can listen to the music on his iPad. This speaker can be used with any bluetooth device. It's small and easy to carry along. It has a suction cup for your shower or window, and it's waterproof. Shipping is free, and this cute speaker comes with a lifetime guarantee, too! We like that it doesn't need to be charged often - the battery life is great. The company offers a page with how-to videos on everything from changing music to answering phone calls! This speaker is very durable, the set up with other devices is simple and fast, and the sound quality is great. We are enjoying this SpeakStick Bluetooth Shower Speaker, and look forward to using it for a long time! Click here to purchase your Bluetooth Shower Speaker! Disclaimer: I was provided with a speaker in order to facilitate this review. No other compensation was received, and all opinions are my own.